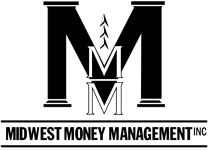 Compatibility Consultation | Midwest Money Management Inc.
For the benefit of our existing clients, we can only take on a limited number of new clients each year. As a fee-based firm, there is no benefit to us or to a prospective new client in entering into a short-term relationship, which is why the first step to potentially becoming a client is to have a compatibility consultation. The purpose of that meeting is simply for each of us to have the opportunity to determine whether or not we believe it would be a good fit for us to develop a long-term working relationship. This no-cost consultation typically lasts for about an hour. During that time we will answer all of your questions about the services our firm provides and also ask you questions about your goals and expectations. With that information, we can each make an informed decision about whether we believe that it would be mutually beneficial to work together. Prior to our compatibility consultation, we ask that you fill out and return a confidential profile. This profile is designed to give us a broad picture of what your financial situation is today and what is important to you about the future. It will allow us to prepare for the meeting and serve as the basis for many of the questions that we will ask you. At the end of the meeting, if we are both satisfied that there is value in working together, we can establish a plan and timeline for moving forward. In the event that there is not a good fit, we will be happy to try to point you in the right direction, either by recommending another firm that might suit your needs more closely or by discussing various self-help tools if that seems more appropriate for your situation.